The Gleaming New Iconic Riverside Museum. Simply Fascinating. The Gleaming New Iconic Riverside Museum. Fascinating. 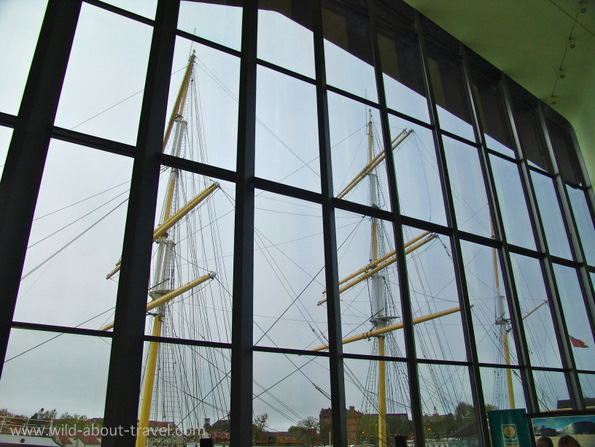 05 Jun The Gleaming New Iconic Riverside Museum. Fascinating. 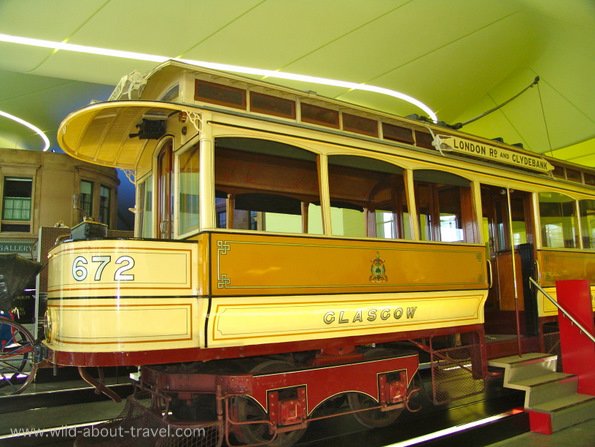 Once at the forefront of Heavy Engineering, with a prominent know how and innovation capability in shipbuilding and marine engineering, Glasgow succeeded in realizing an admirable metamorphosis in the early 1980s, positioning itself as a city of culture, art, design and creativity. Named European City of Culture in 1990, Glasgow stuck to its legacy and launched what is probably its most ambitious project: the iconic Riverside Museum, that will open on the 21st of June and is likely to become one of the main icons of contemporary architecture and a masterpiece of the European scene. 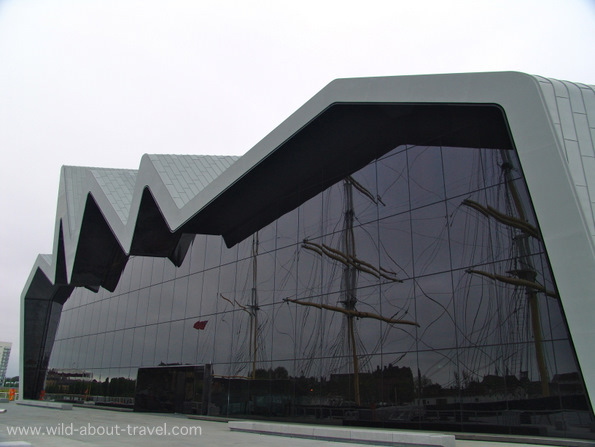 Designed by the world-famous architect Zaha Hadid, the first woman to win the prestigious Stirling Prize, the Riverside Museum is the new location for the Museum of Transports, previously hosted at Kelvin Hall. I had the privilege to be invited at the Media Day by the Glasgow City Marketing Bureau and to see the unveiling of the Museum before its opening. As a result of Zaha Hadid’s dramatic design, the building is stunning: an interior with no internal support, a complex zig-zag roof imparting the architecture a great dynamism, and the reflection of the Tall Ship SV Glennlee in the huge glass façade. The collection is impressive: over 3,000 exhibits and the experience is fascinating: wonderful objects bringing back to history, telling in many cases the personal stories behind them. Objects that cannot only be admired, but also experienced. Impossible not the get wild about this wonderful collection. There’s no ‘logical’ or historical route leading the visitor through the showcase. 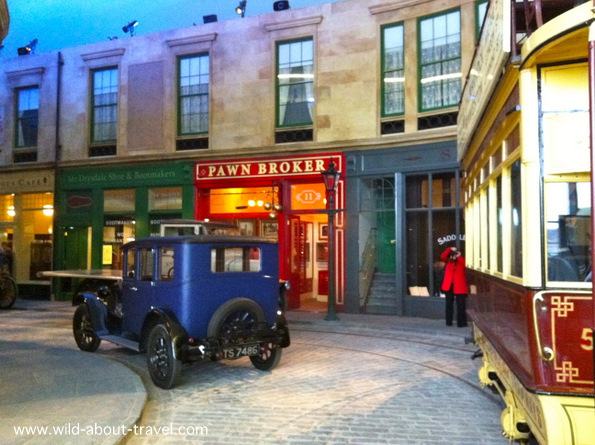 The Riverside Museum is, first of all, a journey of the imagination, a series of emotions and astonishment. 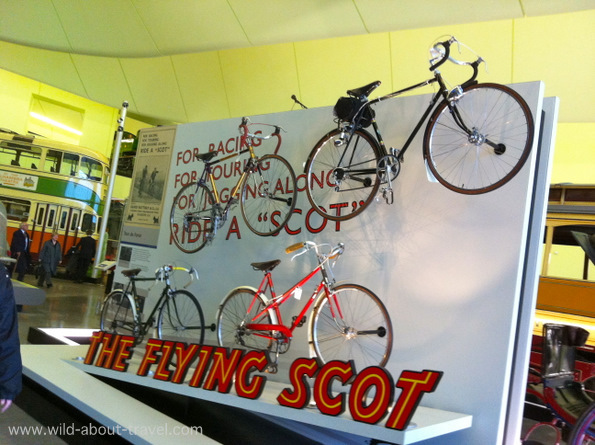 The best way to enjoy the Riverside Museum collection is to let your imagination run wild. Visitors can climb on an old tram or stroll in one of the re-created old streets. I was strongly impressed by the huge 3007 locomotive, whose construction is strongly related to the history of apartheid in South Africa. The bills explain in simple words how life was at that time, leading the visitors to remember and pay a tribute to all those who suffered, starting from the workers whose life was extremely hard. Looking at how transports evolved through the centuries is fascinating. Their impact on single people and society has been huge and transportation means are almost as old as mankind. Transports enabled to reduce physical and cultural distances and they played a key role in the steady increase and success of travel. 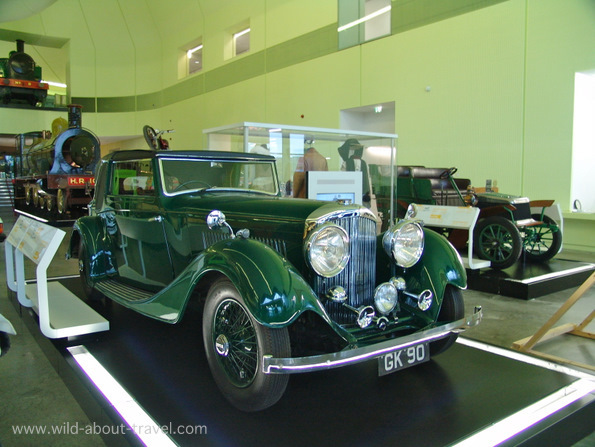 The new Riverside Museum is much more than a ‘new temple for art and history’. It is an extensive project aiming to further develop the city’s legacy and to boost the entire surrounding area. And it is a reason for pride for most Glasgow residents. As our taxi driver, who asked us endless questions about the new Museum and told us that he can’t wait to visit it with his family. Note: My trip to Glasgow was kindly sponsored by the Glasgow City Marketing Bureau. However, all opinions are exclusively my own. I’ve never been to Glasgow but have read about the unique architecture there. Would love to visit some day!